It's Day 4 and I have with me NYT Bestselling author, Marieke Nijkamp, whose debut novel, This Is Where It Ends released January of this year and is on gun violence, and the emotional effect on the people that live through it! TIWIE follows four main characters: Autumn, a dancer who only wants to escape Opportunity. Sylvia, her girlfriend, who's struggling to choose between her dreams and her family. Tomás, Sylvia's brother, the school clown with a heart of gold. And Claire, the track star, who loves to run, but does not know where she's running to. 2. What do you think is the most important thing for adolescents going through especially difficult times to do, like the shooter in your book, and how do they start getting better? Oh goodness. I would strongly hesitate to equate all adolescents going through difficult times with the shooter in my book. Though I would also strongly hesitate to ignore or set aside the shooter's struggles. 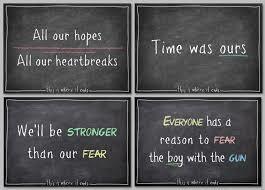 If anything, I think we need better language to differentiate between different types of difficult times. Having said that, if you're struggling with something, whether it's feelings of depression, or anger, or feeling lost, find someone you trust and talk to them. Share and talk. 3. What are we going to see next from you? What are you currently working on? Well I'm always working on stories :) Right now, I'm working on two. One about siblings, spies, treason, and underground cities. One about friendship, love and loss, religion, and endless nights. One is fantasy, the other contemporary, and I love writing them both. So much. 4. In one sentence, tell us why TIWIE is a book we must read? I'm just going to blatantly steal one of my amazing blurbs here, so in the words of Robin Talley: "THIS IS WHERE IT ENDS is a book everyone should read to better understand each other and the world around us." 5. Could you give us a few songs from your writing playlist? 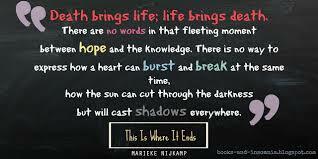 Marieke Nijkamp was born and raised in the Netherlands. A lifelong student of stories, language, and ideas, she is more or less proficient in about a dozen languages and holds degrees in philosophy, history, and medieval studies. She is a storyteller, dreamer, globe-trotter, geek. 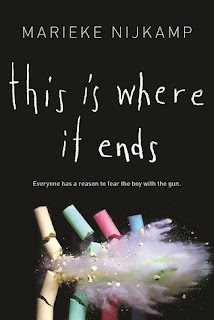 Her debut young adult novel, This Is Where It Ends, follows four teens during the fifty-four minutes of a school shooting. It’s published by Sourcebooks Fire. 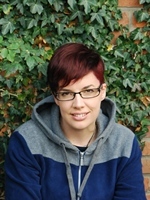 Marieke is the founder of DiversifYA and a founding member and advisor of We Need Diverse Books. Find her on Twitter. Blurb Description: 10:00 a.m. The principal of Opportunity, Alabama's high school finishes her speech, welcoming the entire student body to a new semester and encouraging them to excel and achieve. 10:03The auditorium doors won't open. Thanks for stopping by, fellow Book Dragons! I hope to see you again tomorrow for an ARC Giveaway from an AMAZING 2016 author! A huge thanks to Marieke fot taking time from her busy schedule to answer my questions! It was an absolute pleasure!